Homeowners in Lindenhurst are being asked to pay for the public land they've been using as their backyards. Greg Cergol reports. 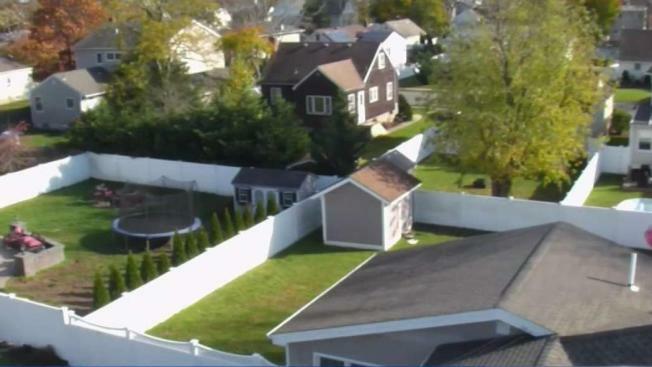 A group of Long Island homeowners whose backyards were built over what was once a road will have to buy them from their village if they want to continue using them. Decades ago, the “paper road” in Lindenhurst, known as Richards Lane, was a dirt road used to deliver coal. But over the years, residents living in homes along the road built backyard fences, sheds and pools on top of it, without raising complaints. So it came as a shock to them when the village administrator said they would have to either buy the land or clear their fences and other property off of it. The issue arose when residents tried to renovate or sell their properties — something they were technically barred from doing because their backyards are on village-owned land, according to the village. The village offered to sell the land back to the residents for $3 per square foot, residents told News 4. But resident Linda Langone, whose parents moved into their home along the road 70 years ago and bought their piece of the roadway for $1 in 1974, said the village deemed the road useless at the time. “The village has no use for Richards Lane now or in the future,” a letter from the village clerk reads.